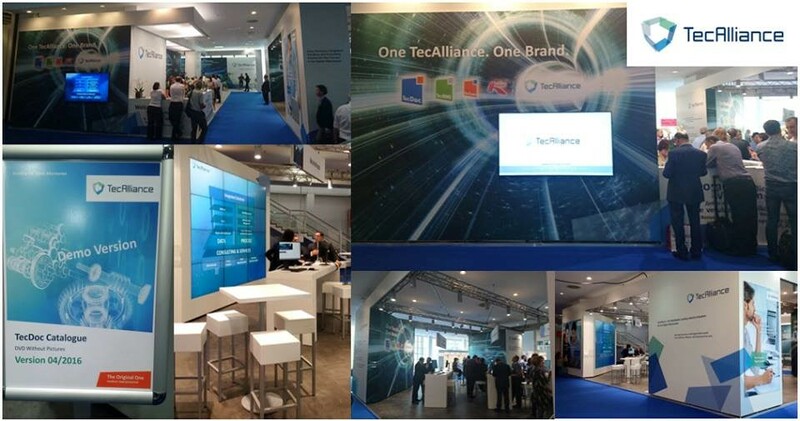 TecAlliance successfully presented itself at Automechanika 2016 with a new brand presentation and clear responses to the rapid developments in the international automotive aftermarket. One TecAlliance. One brand. TecAlliance with a new logo. The activities within the industry are complex, multi-layered and interlinked. In order to make its provided services transparent and clear to customers, TecAlliance has developed a new brand presentation and restructured its existing product range. The brands TecCom, TecDoc, TecRMI and Headline, with their strong combination of expertise and service, fall completely under the umbrella brand of TecAlliance. This complexity is displayed graphically in the new company logo, symbolised by a cube next to the name TecAlliance. The brands TecCom, TecDoc, TecRMI and Headline, with their strong combination of expertise and service, fall completely under the umbrella brand of TecAlliance. The comprehensive product portfolio of TecAlliance comprises standardised data, processes, integrated solutions and comprehensive consulting services; it supports all market participants in the digital aftermarket. Customer orientation has priority at TecAlliance. This was demonstrated at Automechanika not only by the enhanced TecDoc Catalogue and the Order-To-Invoice Portal (formerly TecWeb 5.0), but also by exciting new products such as the TecRMI Service Finder, which optimally supports digital collaboration among the parts industry, the parts trade and workshops on the basis of established standards. The electronic TecDoc Catalogue includes more than 5.7 million items and is available in 29 languages. It enables excellent customer service through reliable part identification. TecAlliance presented a new, revised version at Automechanika. The flexible information system TecDoc Catalogue DVD has thus been given a new layout and a new architecture, which are significantly more user-friendly. The focus of further development was put on increasing performance and simplifying installation, which enables even faster and more convenient use. The parts catalogue TecDoc Catalogue is also available as an app for mobile devices on iOS and Android and enables the user to identify spare parts via articles and vehicles at any time worldwide on his mobile. Besides these new developments, TecAlliance presented its unique portfolio for the Asian markets. Thanks to cloud hosting, TecDoc Data is available worldwide, so that users in markets such as China, India, Mexico and Brazil can perform spare parts identifications quickly and easily at any time – in one of the 29 languages in which the catalogue is offered. A further highlight is the Product Management Analytics Portal (PMA), which was specially developed for the needs of a modern data and product management department. With this web-based analysis tool, one’s own product data in the TecDoc Data Format can be reliably compared with that of the competition and valuable conclusions drawn regarding data maintenance and product range optimisation. Reports of various kinds, such as management reports on vehicle fleet coverage, data maintenance progress and gaps in comparison with the competition , can be generated quickly and easily. This is a helpful tool to analyse and expand one’s own product range and to know exactly where one stands in comparison with competitors as a data supplier. 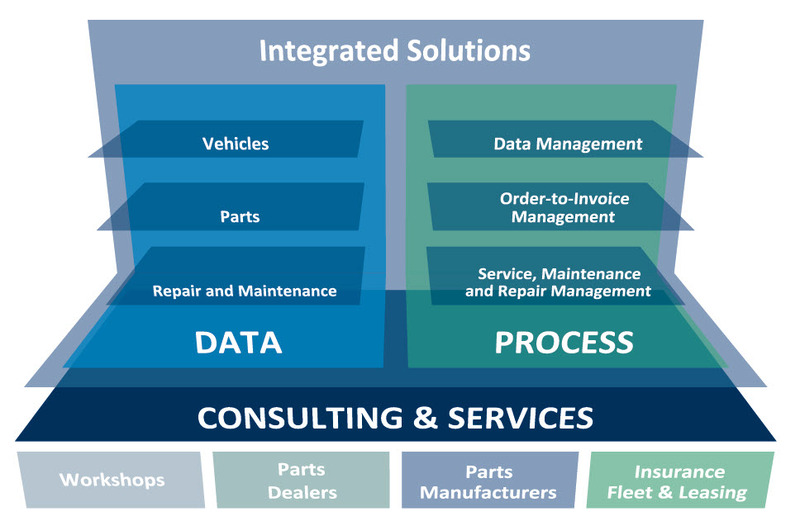 With the innovative TecRMI Service Finder, TecAlliance has delivered a completely new tool that is unique in the international automotive aftermarket. After entering the mileage and the first registration of a vehicle, workshop users can gain precise information about when the last vehicle inspection should have taken place and when the next inspection is due. This means that workshops can easily identify all necessary inspection work, maintenance plans and the spare parts required. For TecAlliance, Automechanika 2016 was a complete success: the response in the independent auto spare parts market to the new TecAlliance trade fair appearance was extremely positive. All company departments have registered very good business development in all markets. Around 400 invited guests celebrated at the VIP Aftermarket Evening, which was hosted together with Gesamtverband Autoteile-Handel e.V. (GVA) on 13 September. Despite the heat, there was a strong stream of visitors on all days. And the quality of the visitors was outstanding. TecAlliance is looking forward to the 25th Automechanika Frankfurt, which will be held from 11 to 15 September 2018. Around 136,000 visitors from over 170 countries attended the leading international trade fair for the automobile industry during the five days in order to get information about new automotive products and developments. Automechanika was able to register a record total of 4,820 exhibitors.